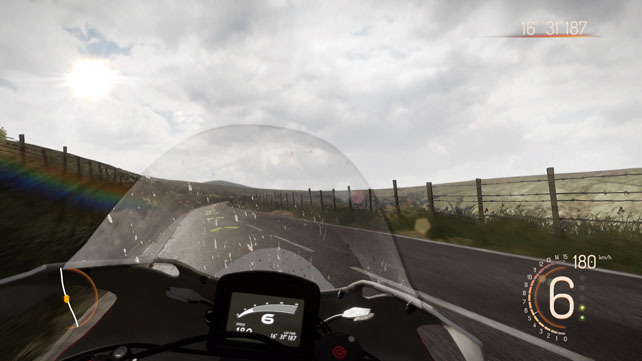 With 23 Isle of Man TT wins John McGuinness is more than qualified to say whether a racing game based on the infamous bike race is up to scratch, and that’s why he worked with Big Ben Interactive on their recent Ride on the Edge release. Stuart Cullen asks John what the experience was like and how well racing the machines across the island compares to the digital recreation. How did you join the project and what was it that attracted you to it? 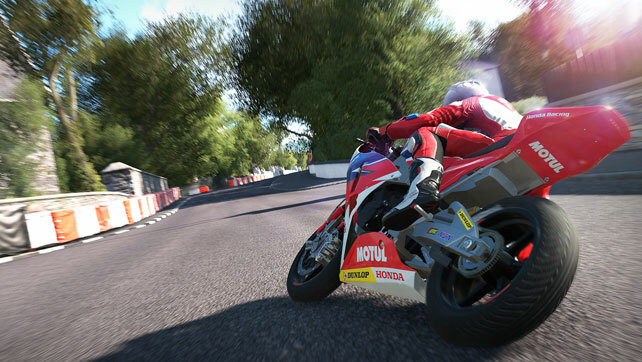 It had been mentioned around the paddock and there were updates across social media that a computer game for the Isle of Man TT was being developed. I have never really been a gamer myself, but having children and certainly through my son Ewan, I can see the attraction. I was then approached through a friend, Nick (Soye), who was working with the team at Big Ben Interactive who were responsible for the development of the game. We eventually met with them, along with Steve Mercer, another road racer, during the Isle of Man TT press launch in 2017. I think we were all blown away by what we saw and this was still the very early stages for the development of the game. The level of detail and accuracy of the course, the way the bike handled and just the general feel of the game play, made me realise that I wanted to become more involved. Are you a gamer when your away from the bikes? And if you are what’s your favourite game or platform to play on? As I mentioned, it’s not something I have done myself, but I think that may change now. Ewan is the gamer in the McGuinness house and has both an Xbox and a PlayStation 4. For me, I have been raised on two wheels, so anything bike related is a winner. But I have also played on some of the car games such as Formula One and World Rally Championship. I’m now very certain ‘Ride on the Edge’ will be a regular feature in the house and also in the motorhome when we are away at the races. With the game being more of a SIM had does it feel do you think compared to the real thing? There is no escaping the realism on this game. You have to experience it to really appreciate the precision of the course and what Big Ben have re-created. I have been racing for over twenty years now at the Isle of Man and feel I can navigate my way around the course quite well. It takes many years to build your experience there and when you are actually racing, it’s not a sport for the feint hearted. When I have played the game, I can feel some of the senses that kick in before I actually race at the TT. Lining up on the start line, a Grandstand packed with fans, the official waiting to tap your shoulder giving you the signal to set off towards St Ninian’s Cross Road and down Brey Hill. Ride on the Edge will certainly put you as close to the real thing as you possibly can be, without actually racing the event itself. As a road racer, you must realise what is actually involved at the Isle of Man TT. It’s a time trial of thirty-eight miles around a small island in the middle of the Irish sea. The event takes place on closed public roads, where the margins for error are so fine. With over two hundred and fifty corners to negotiate and speeds close to two hundred miles per hour, you must learn the course very carefully. This is what makes the Isle of Man TT so unique and the event only comes around once a year. It’s not like you can just turn up as you would do on a short track circuit and be able to ride in order to get some valuable laps and bike time. The window for practicing is very limited. All I can say is that I wish ‘Ride on the Edge’ was something that I had available to me much earlier in my career. For a newcomer to the TT, a young racer wanting to learn the course before doing the real thing, this is the perfect tool to use in order to gain that course knowledge. It is that close to the real thing, it will certainly help new riders to the event for sure. When I am playing the game, I can even see the actual braking markers that I use in the race. Buildings, lamp posts and even markings or undulations on the road that give me messages when I am actually racing, can all be found in the game. That is the level of detail that you will find and I truly believe that this will be an essential tool for newcomers. For the fans, it’s a chance to be a TT racer for the day. And do you have a favourite section of the course in the virtual world? And how does that match up to your actual favourite section? When you race the TT for real, the course evolves with you. As a rider, you will never stop learning around the circuit and it’s no different for me now after twenty plus years of racing. What may be a favourite section one year, can be totally different the next. You may realise that one particular corner can change from a fifth gear to fourth, saving you a precious second or two and making the ride more flowing and easy, so your favourite section may change. What is really appealing about the game is the accuracy of the entire thirty-eight miles. The run through Kirk Michael is as close to the real thing as you can possibly get and the level of detail over the Mountain section truly captures the view and the experience that I personally feel as a TT road racer doing the event. I have to say that I have always enjoyed the Mountain, Guthrie’s Memorial, The Bungalow and Windy Corner. It’s a part of the course that allows you to relax, even get some rest, before you start another lap. Obviously if it is the last lap of the race and you have just seen P1 plus fifteen, it’s the best feeling ever and as you pass the Creg-Ny-Baa. It’s a chance to put on a bit of a show for fans as you head down to Brandish knowing that you are about to win on a course that is truly the biggest test for man and machine. I think TT fans will certainly be able to get a sense of that feeling with ‘Ride on the Edge’. How has the game changed since you started helping out the dev team? From my initial view of the game during the 2017 TT press launch, I can see just how much it has progressed. As mentioned, the effort that has gone into ensuring the bike and rider dynamics are as close to the real thing is immense. I have been extremely impressed with the team at Big Ben Interactive and what they set out to achieve and how that has been accomplished. Where I was able to help specifically had to be through the dynamics of the bike and rider. Relaying some of that experience and knowledge that I have gained over many years of racing at the Isle of Man. For example, in the beginning I could instantly see that in the game it was possible to engage high gears on sections, where in reality it was just not possible. I was able to advise the team on the correct gearing around the course, as well as other aspects such as managing your fuel. Choosing the correct lines into corners and those tipping in points to ensure a smooth entry and exit were an essential part of our discussions and hopefully I have been able to replicate some of those key elements for fans to find and appreciate in the game. Has there been any chat around the paddock about the game coming out? For sure. It has been a talking point around the road racing paddock. Riders and fans knew that a game was being developed, but I do not think anyone expected the result to be such an achievement. I know a lot of riders assisted on the game and it was good that the team absorbed information from so many sources to ensure that the product was so complete. When the development team gave the first view of the game at the TT in 2017, there was certainly a buzz from everyone involved. 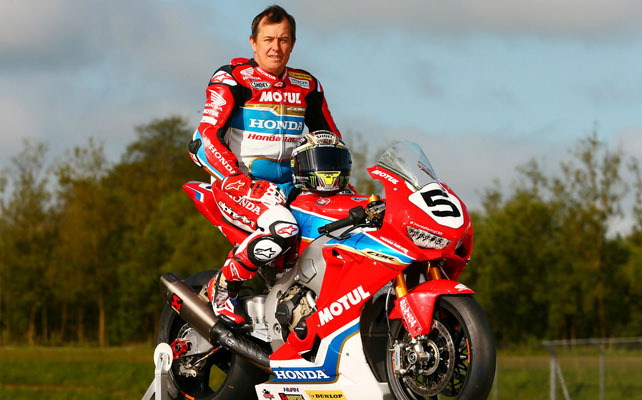 What did you think about the Joey Dunlop tribute being included in the game? When I was asked in 2013 to ride the Joey Dunlop replica, in the same leathers and helmet, I have to say that it was one of the most memorable moments in my career. I was fortunate enough to not only race against Joey, but also be his teammate. As a kid, I had Joey Dunlop pictures all over my bedroom wall and when I first met him as a youngster, I told him that one day I would stand on a podium with him. While he did not remember me, I’m proud to say that I stood on the podium with this great man. And Joey was the greatest. He epitomised everything about our sport and just went about his business in a very humble way. To me, a game about the TT must include something about the most successful TT racer ever and I think this inclusion was a very nice tribute to Joey and his family. I’m sure the fans will appreciate this and I know that it was given with the full blessing of the Dunlop family. How fast can you complete the course in the game and what is the spilt between that and your actual time on the bike? And do you every think you’d be able to match it? I certainly think that I will need a little more practice on the game before I am posting times similar to that of when I am racing. But it is coming together and I’m getting quicker with some useful tips from my son Ewan, I think I could be up there with the best of them. But the game is no different to riding the course for real. It’s all about practice and learning. The more you do, the better you will become. The key is learning the course. Always thinking two or three corners ahead, so that you know what is coming up. Choosing the perfect lines, your apex into a corner and when to tip in and then flow through the corner. Maybe one day I will be able to match my actual race times, but I think some additional practice may be required. And do you have any top tips for people that will be picking the game up so they can lay down a few good times off the bat? The advice is simple and no different to what I would give to a new rider looking to compete at the Isle of Man TT for the very first time. Learn the course. The TT is the most unique event of its kind and certainly when it comes to motorbike racing. There is nothing like it and I truly believe nothing compares. Learning the course is the biggest challenge and taking your time. When you do it for real, you cannot make a mistake because the consequences can be severe to say the least. Understanding every corner and straight of the thirty-eight miles is so important. In a similar way, my tip for people looking to post a good time in the game, would be to select one of the smaller bikes initially and know the course. But one thing is for sure, everyone is going to really enjoy ‘Ride on the Edge’.